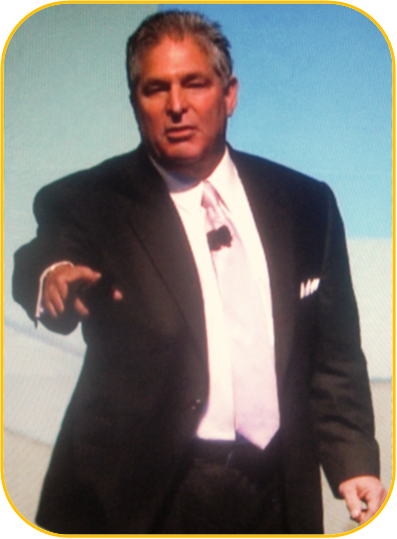 Steven Schussler was the Keynote Speaker at the NAMA Fall Conference. Here is a short clip of an interview Steve did with Chuck Zimmerman. Steven Schussler was a guest on Fox & Friends in New York City, NY on November 19, 2010. 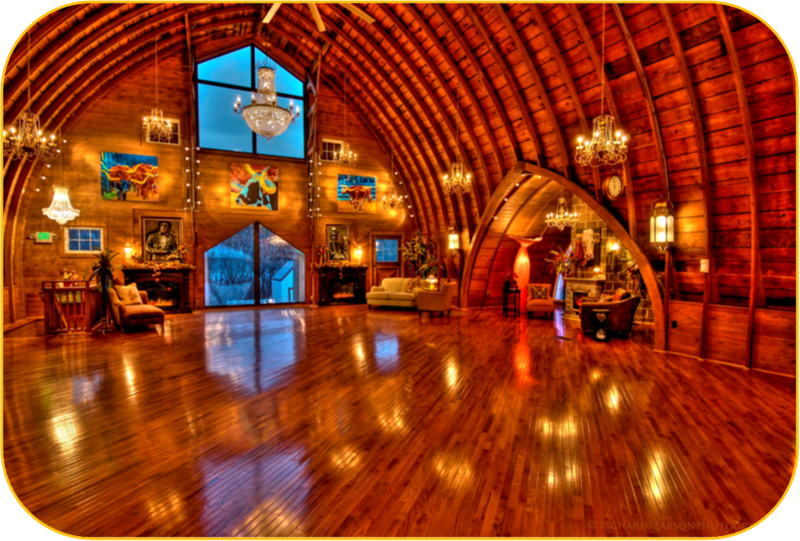 He and his team built a 30,000 pound ice palace for the show. 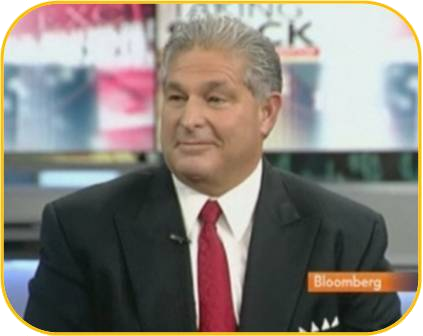 Steven was a guest on the Bloomberg Television Show in New York City, NY on October 26, 2010. 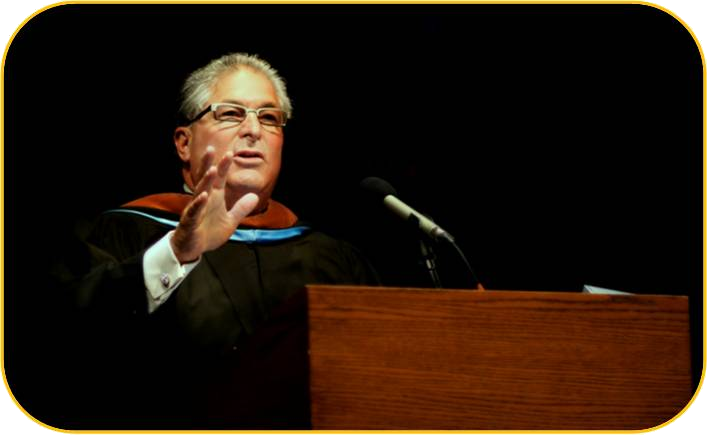 Steven gave the Commencement Address for the Minneapolis College of art and Design (MCAD) on Saturday, May 7, 2011. 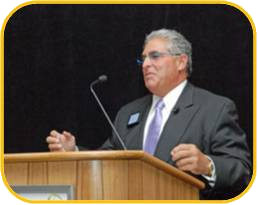 Speech given by Steven Schussler in Orlando on February 24, 2011. Steven Schussler was a Guest Judge on the Food Network's "24 Hour Restaurant Battle". The show aired on September 1, 2010. GALAXY DRIVE IN FEATURED ON WCCO 4 News @ 10. GALAXY DRIVE IN MENU WITH STEVEN SCHUSSLER ON SHOWCASE MINNESOTTA, KARE 11 NEWS. 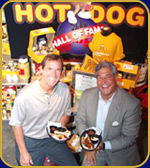 Steve Schussler's Hot Dog Hall of Fame elevates hot dogs and sausages with a medley of mustards. If mustard and pretzels is a centuries-old favorite food pairing—hot dogs and mustard is centuries young. Capitalizing on this ever-pmarriage, opular Steve Schussler’s soon-to-come entertainment eatery, thHot Dog Hall of Fame, makes the most of mustard-dabbed dogs. 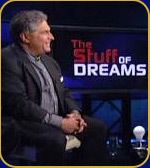 What's "The Big Idea" of putting Donny Deutsch in a studio with Steve Schussler? 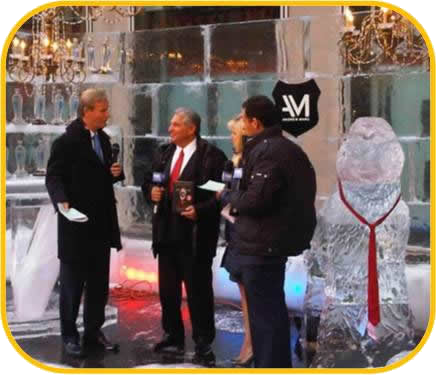 NYC flirted with a seismic event Tuesday when Deutsch, the CNBC show host, taped a segment with Schussler, the Golden Valley mad genius behind the Rainforest Cafe and T-Rex restaurant concepts. 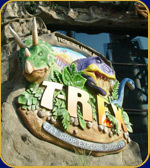 Two life-size dinosaurs will grace the outside and dozens more robotic dinosaurs will decorate the interior of the T-Rex restaurant and store under construction at Downtown Disney.